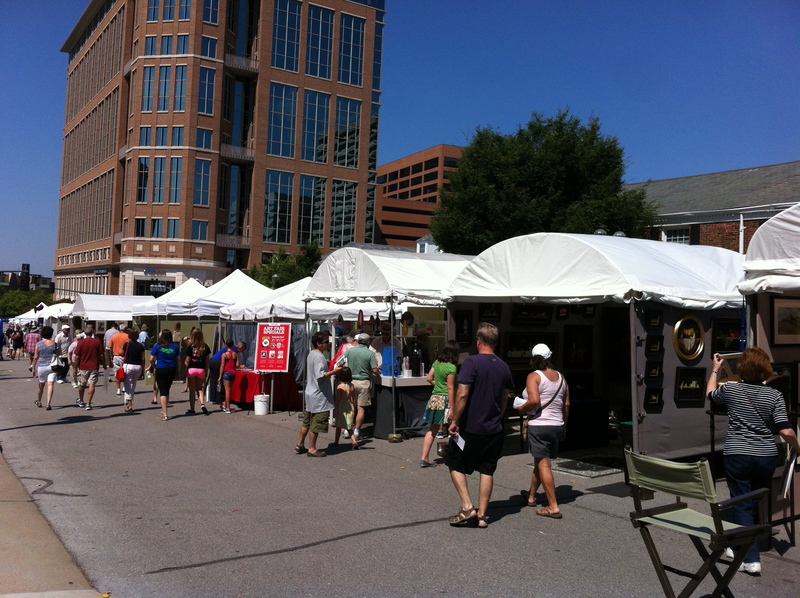 The St. Louis Art Fair is held each September for one weekend in downtown Clayton. Over 400 artists show their work in tents on the streets. The artists who show their work come from all over the country. One photographer I talked to came all the way from Santa Fe, New Mexico. Typical booths at the art fair. About 5 minutes after getting to the art fair, I went to get a kabob at one of the food booths and dropped the meat right on my shorts, leaving a large brown stain in a really awkward spot. Thus my trip to the art fair lasted only 7 minutes.